It has been a profitable passion. 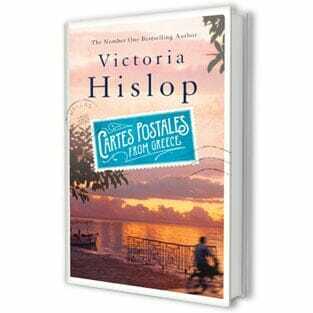 In the last nine years she has written three bestselling novels set in southern Europe – two of them (The Island and The Thread) about Greece, the other (The Return) about Spain. The Island alone has sold more than two million copies, as well as spawning a 26-part series on Greek television. Part of the proceeds has been spent on a house on Crete which she owns with her husband Ian, the editor of Private Eye, and another substantial portion on the Greek language lessons she has been taking for the past three and a half years. As this story suggests, success has not given Hislop any airs or graces. She radiates cheerful, down-to-earth Britishness, albeit with an overlay of Continental chic. Today she looks formally elegant – simple silver jewellery, bright blue dress, knee-length boots – having come from a memorial service for another celebrated Hellenophile, Patrick Leigh Fermor.